* values unrealistically below zero. * Is that a problem? * Not the best fit but, okay. * the constant and many fitted values may be significantly below zero. * function is typically having many values fit below zero which have been censored. The Tobit model estimates the parameters that generated the *latent* variable y, which was censored if less than zero. 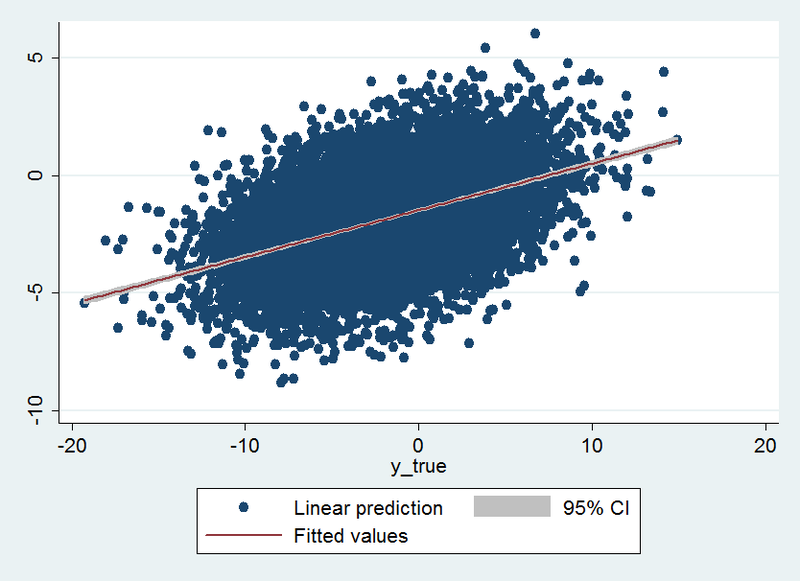 So the predicted values correspond to the underlying latent y, which should have values less than zero. To get back the observed values, censor the predicted values. 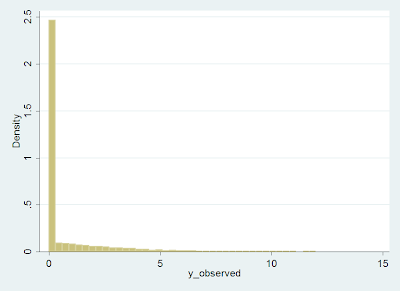 Hi, I estimate a tobit model and generate fitted value by using "predict yhat, ystar(0,.)" where 0 is the lower limit. It turned out two observations have missing fitted values that yhat=. Why predict returns missing value? I expect the within sample prediction contain zeros but not missing values. I appreciate if you could help. I am not sure why this would be due to your data, however I suspect that you might have missing explanatory values for these two observations. Without having a full complement of explanatory values you cannot adequately predict the dependent variable.